Special Alert: Today we are very pleased to announce the upcoming release of our new community connection platform: WildfireConnect. 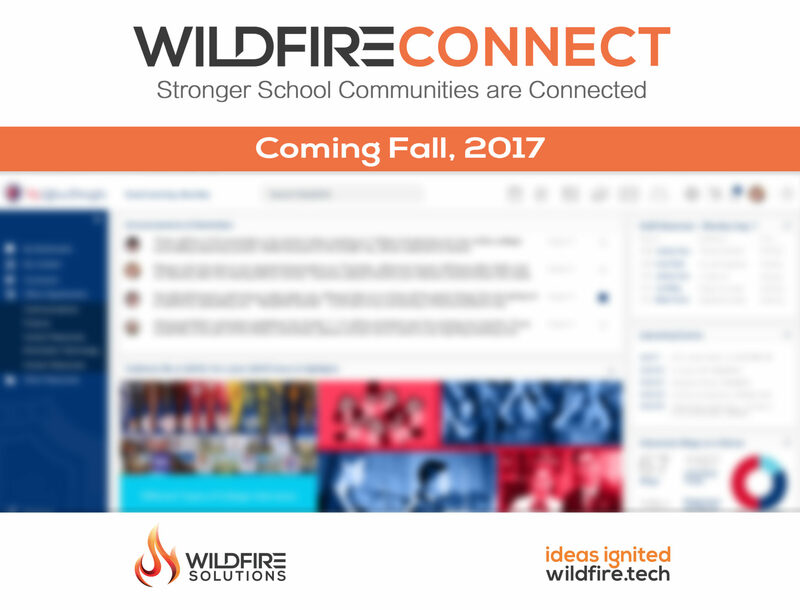 Customized for your school community's unique needs, multilingual-ready WildfireConnect empowers and engages staff, students and parents, while integrating the systems you rely on - it's your school's new turbocharger! Stay tuned - more details will be released in the coming weeks!